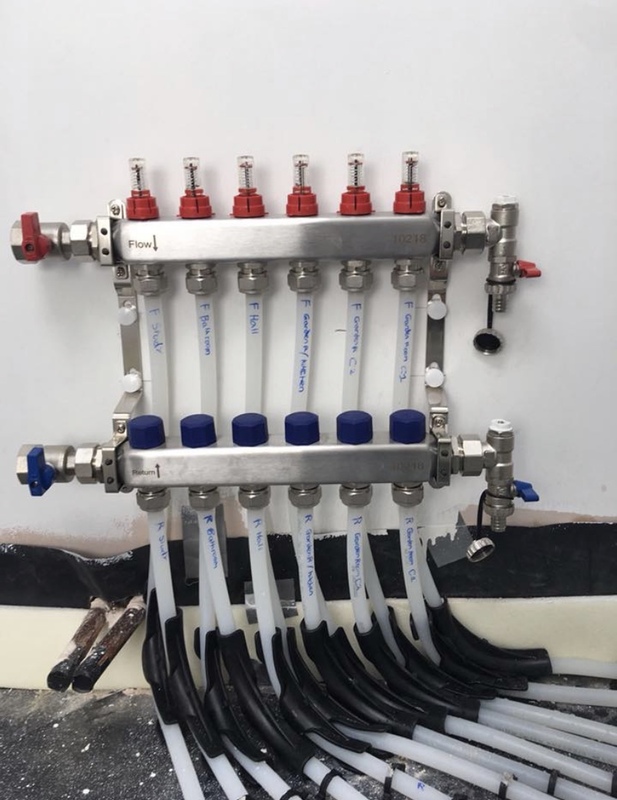 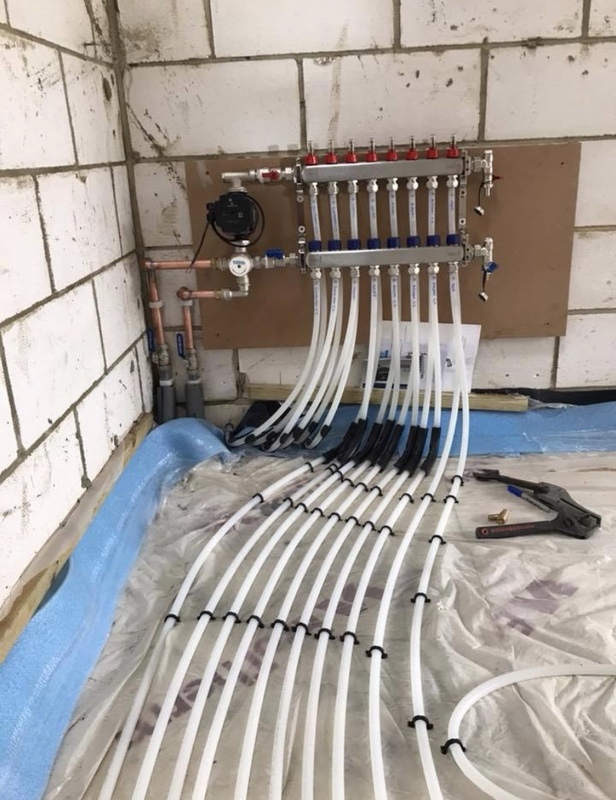 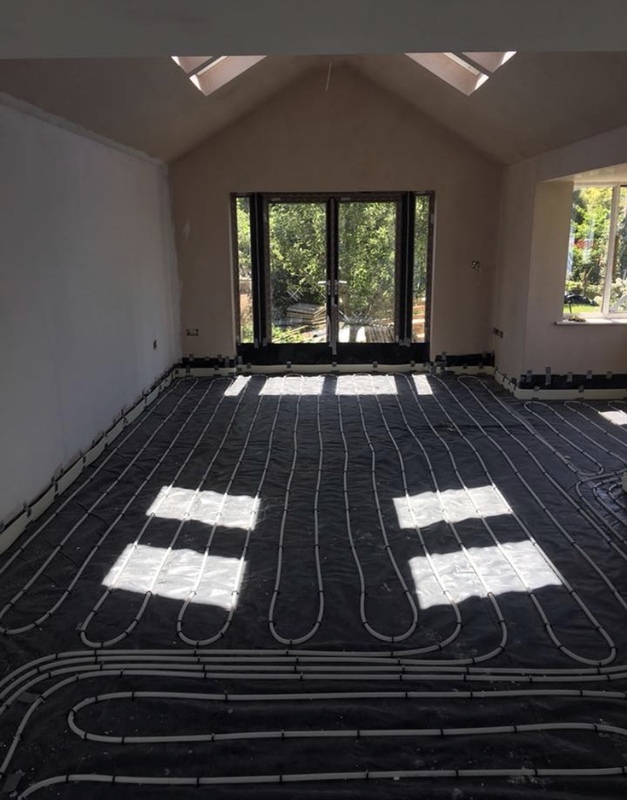 Delaney Plumbing engineers are fully trained to install and service underfloor heating. 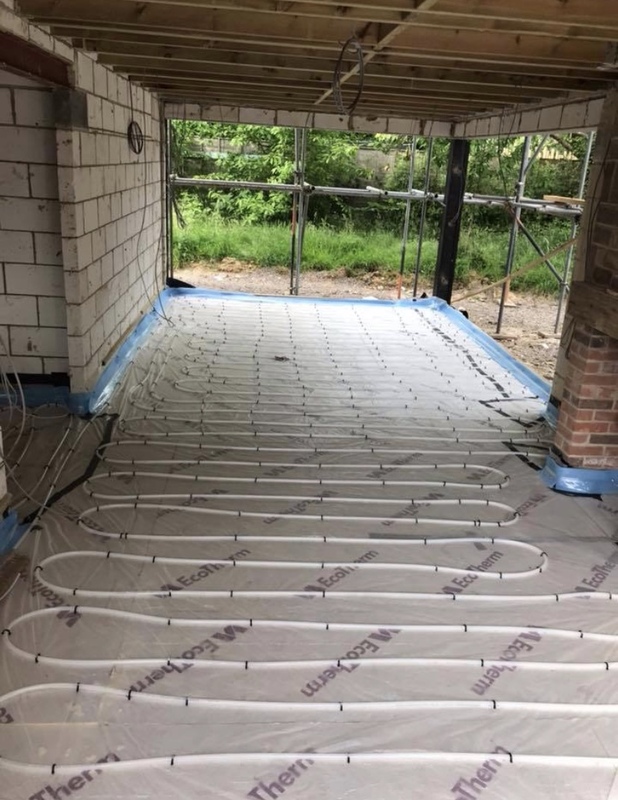 Underfloor heating is an efficient way of heating a room, as opposed to radiators, for example, because it gently warms a large floor surface at a low temperature, rather than heating one area of the room intensely, relying on the hot air to rise to the top of the room, before cooling and falling back to a height where it can be felt. 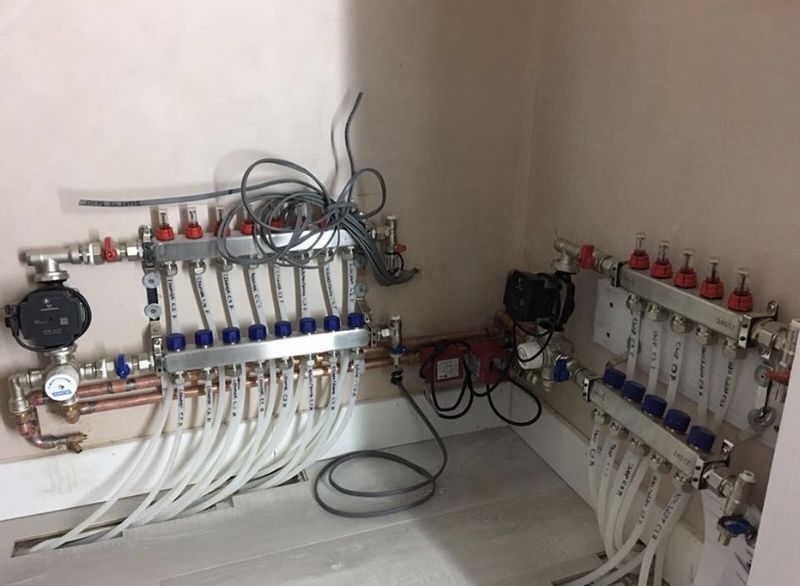 Do I Need Radiators Too? 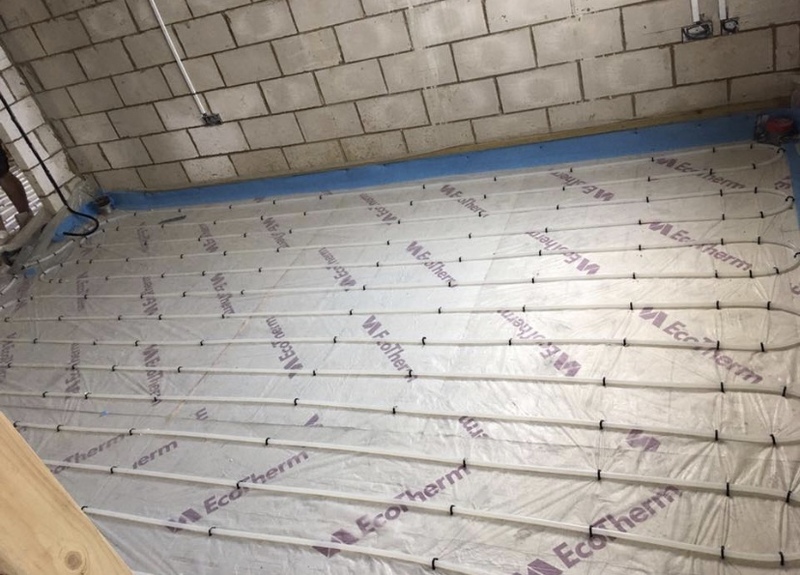 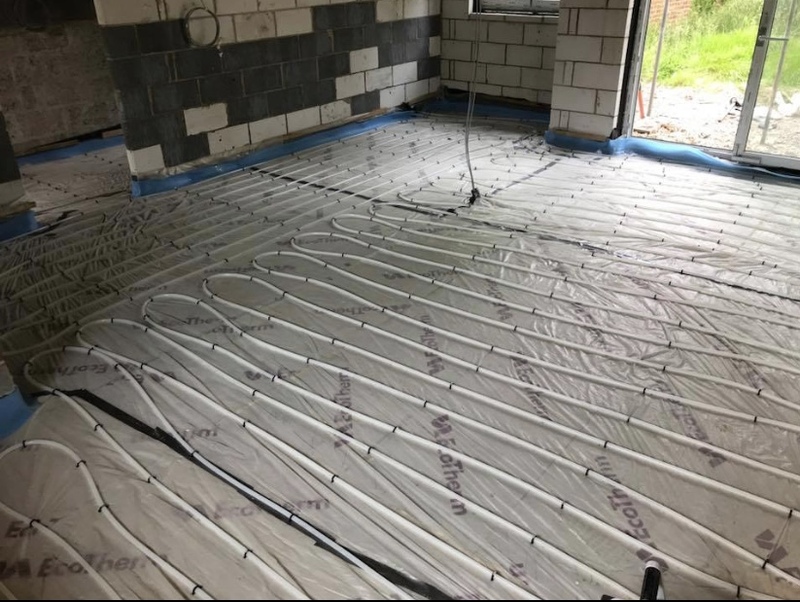 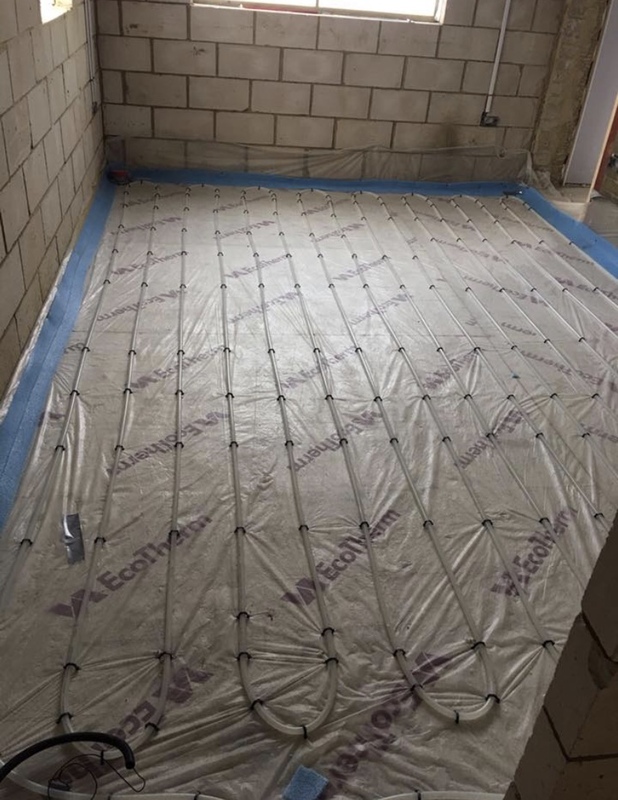 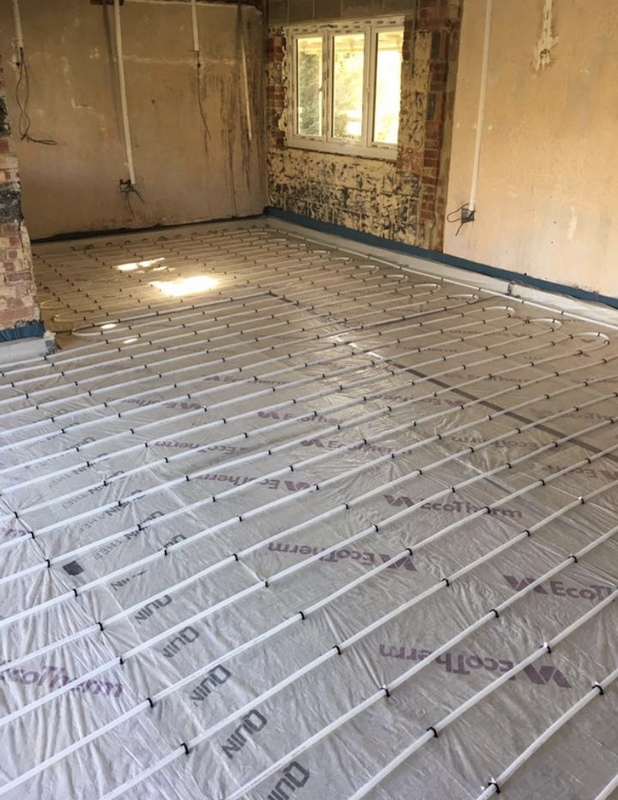 In a modern, well insulated room, where heat loss factors have been taken into consideration, under floor heating can act as the primary heat source, In the majority of cases, it will eliminate the need for radiators.